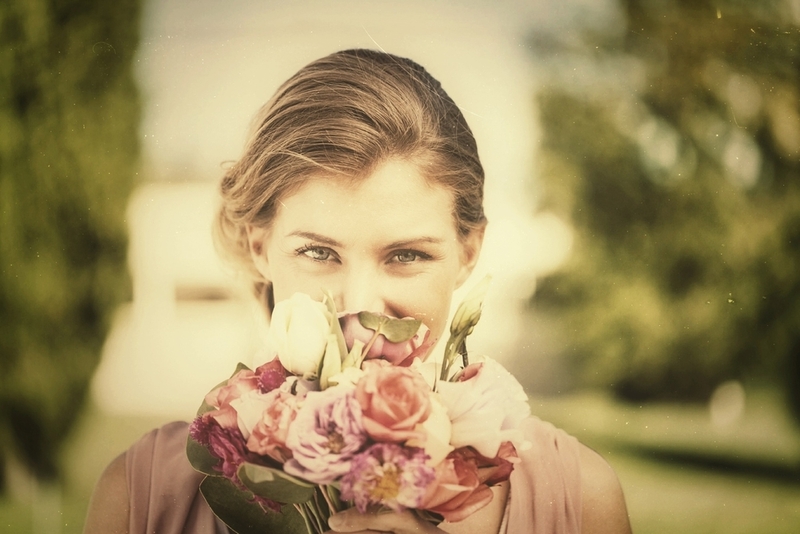 Always A Bridesmaid, Never a Bride: Can That Concept Apply to Our Work Lives Too? Many women who have a talent and a passion for entrepreneurial work fulfill that drive by taking supporting roles in other people’s ventures. Are we selling ourselves short - and is society at large losing out - by not encouraging more women to step out in front and lead companies of their own? Almost two years ago, I attended the Women Entrepreneurs Festival for the first time, an annual conference, co-sponsored by my alma mater, the Interactive Telecommunications Program at New York University, and Joanne Wilson, an angel investor and advocate for women entrepreneurs. I had just resigned from my latest all-consuming job and was starting to consider what I wanted to do next. The WE Festival looked like an ideal opportunity to network and learn, but frankly I went on a whim. Until then, my vision of an entrepreneurial role for myself was limited to that of a consultant or a supporting role in start-ups founded by others. Today, I’m the Co-founder of my own start-up, together with my business partner, Joanne Roberts. We’ve spent the last year bootstrapping the development of that business, and just last month, launched the beta version of our first product - this site, WHAT NOW WHAT NEXT. It was an an amazing journey getting to this point. How did I arrive here? A lot of it had to do with that WE Festival I attended in 2013. As I had hoped, there were great opportunities to learn at the conference, and I met many smart & accomplished women. But there was one distinctive ‘aha moment’ that sparked a big shift in my thinking and started me down the professional path I’m on today. As I listened to Joanne Wilson share her story, I realized that my experience was similar, although I had never really thought of it that way. Over the last two decades I’ve held a variety of leadership roles with companies in the media, entertainment & technology sectors. While diverse, they’ve had a consistent theme. Whether working in a global Fortune 500 corporation or an early stage start-up, my roles were always that of ‘entrepreneurial change agent.’ And while I had a passion for the entrepreneurial nature of my work, I had never given serious thought to founding or leading a company myself. Until then. I realized that I had assumed that I needed to be more of an “expert” to launch and lead my own business. And that I was discounting the depth and breadth of the experience I already had that would enable me to pursue that goal. Author and women's leadership expert, Tara Mohr, points out that this is a problem that many women share. She says that coming to the realization that the 'expert thing' is holding you back is "a rite of passage and milepost on the journey to empowerment". Joanne Wilson’s story was one of the inspirational sparks that helped me shift my thinking and started me down the path to where I am today. The power of sharing stories as a catalyst for women navigating change is not just background on my personal journey. It’s also the core belief that drove us to create our business and the mission of WHAT NOW WHAT NEXT. We created this site to offer resources and a support network to women 40+ who want to launch or grow their entrepreneurial ventures. And, because by now we’ve learned that our work is irrevocably intertwined with all the other aspects of our lives, WNWN also facilitates conversations on the full 360 of work and life. We know through our own experience, and that of our friends, that this is a time when women are stepping into the most creative, productive and powerful phase of their lives. Paradoxically, it is also a time when it becomes increasingly difficult to find the support we need to navigate that change successfully – or connect with the women who are traveling a similar path. As I've noted in a previous post, women-owned businesses are the fuel that drive our economy. The 2013 State of Women-Owned Businesses Report commissioned by American Express OPEN, called women entrepreneurs the "unsung heroines of the small business sector". Yet less than 10% of available capital goes to fund women-owned ventures. Other resources can be less accessible to women as well. At WNWN, we aim to serve those women who might have a perspective similar to mine back in 2013, women who may not yet realize how well-equipped they are to create and lead entrepreneurial ventures. We believe that there are huge rewards in store, for each of us individually and for society as a whole, when women with hard-won wisdom, skills, and experience are encouraged to pursue their entrepreneurial vision. The next Women Entrepreneurs Festival is taking place later this month, and of course, we'll be attending. Because, as we say in our mission statement, we're pretty certain of one thing -- that women benefit in powerful ways when they share their collective wisdom. What about you? Have other women's stories ever inspired you to take a leap you may not have taken otherwise? What networks of support have had the biggest impact on your life or career?